What are the Monkey's Strongest Senses? Monkeys are a form of primate, which is a class of animal that includes humans. 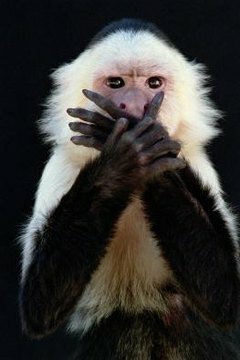 Monkeys have five senses just like other creatures: touch, taste, sight, sound and scent. Not every sense is as strong as the others, depending how the creature has developed. Wolves need scent to track their prey, while deer need hearing to avoid being caught. A monkey's strongest senses may surprise you. A monkey's sense of touch is extremely important. As the many monkey species developed, they began to live in the trees. They had to use their hands, feet and prehensile tails to grasp things within their environment, such as a branch or low-hanging fruit. Only by touching things could they begin to explore their world and determine what was safe or dangerous. It's also through touch that monkeys learn to socialize. Take grooming, for example -- this activity not only removes pests, but also reinforces the bonds between members of a monkey's troop. Without touch, monkeys grow up with emotional disorders similar to those found in humans. Though a monkey's sense of smell has been thought for some time to have been traded out for better vision, their sense of taste has remained important. They have a diverse diet full of fruits, plants, nuts, even insects and meat in some cases. A monkey cannot know if a new plant is good to eat or not unless it has a taste. Scientists believe that bitter tastes signal to the primate that the food may not be good, while sweet and savory tastes mean the food matter is safe. The ability to hear is crucial for most animals, otherwise they would never have developed ears to some degree. For monkeys, the ability to hear well can mean life or death. Vocalizations from rival bands, or warnings from its own, alert the area to the presence of predators or intruders. Hearing well allows a monkey to pinpoint a potentially lethal sound and identify it as friend or foe. Most monkeys seem to hear at the low range about like humans, but they can hear an octave higher (into the ultrasonic) as well. The most powerful of a monkey's senses is its vision. Vision became so critical to the survival of primates that they developed forward-facing eyes and heightened the sense at the expense of their sense of smell. A monkey's vision is second only to that of raptors such as eagles (who live in the daytime). They have superior color vision, like humans, and can use their other senses in tandem with sight to pinpoint something. This development came with another price, too; monkeys and other diurnal, or daytime-living, monkeys have very poor night vision. Vision aids them with learning from other monkeys and in navigating through their world. Can You Keep a Pocket Monkey as a Pet? What Are the Functions of a Primate's Thumb? Why Do Monkeys Smell Their Bottoms? What Do Monkeys & Orangutans Have in Common? What Monkey Breeds Can Be Pets? What Is the Taxonomy of a Monkey? What Are the Major Characteristics of Primates? How Can I Be a Foster Parent for Baby Monkeys?